My goal for the year: Maximize my passive income. I knew at the beginning of the year that I wanted to be able to spend less time working and more time exploring the world around me, so I've spent the last twelve months working towards that path. I took everything I learned this year about earning passive income as an artist and compiled it into this one guide. I hope it helps all of you out there who are looking to boost your income. I've just launched an online course that dives into all the details that I overview in this post. It's filled with actionable steps and my best advice! Passive income is money being earned regularly that requires little effort to maintain. For artists, this can mean generating regular income from the artwork you’ve created. For example, I painted these alpacas in January, and because of strong sales, have continued earning a monthly royalty rate from them since. All the work was done upfront– now, I just promote them occasionally through social media. I use this method for nearly every piece of artwork I create. Now, I'm selling hundreds of pieces through dozens of outlets. One of the greatest perks of passive income is the time it frees up, allowing you to focus on other avenues of life. For me, that means working as freelance designer and traveling the world for creative inspiration. There are a TON of options for artists to generate passive income. PODs will print your artwork on phone cases, pillows, tote bags, apparel, notebooks, wall art, and so much more. The POD company handles the production and manufacturing, sales, shipping, returns… everything. ...and literally hundreds of others. There are new POD companies starting up every day. It's difficult to get noticed. With thousands of artists participating, it can be challenging to make a name for yourself and gain traction. Loss of individual branding. When a POD sells to a customer, the branding is a reflection of their company. Sure, they'll credit you as the artist, but you won't have an opportunity to include your business cards or collect email addresses from each order. Less control– The POD site may change at any time without notice, which could affect your store, for better or worse. (Keyword tags, search functions, uploading platform, algorithms for how featured artwork is chosen.) A POD site may be going well for you, then totally go under OR get bought out by a company that mismanages it. Bye, profits. Each site has a different uploading process and template requirements. You spend time accommodating for each. Success doesn’t happen overnight. It takes effort to promote your shop, gain followers, push sales. It’s a slow build. Artist profit margins can seem very low. $2.40 for a $24 travel mug means you earn just 10% off each sale. However, it can be worth it if you sell in large quantities. It's easy. You don’t have to fulfill orders, handle production, or manage customer support. You can focus on creating beautiful art. They do the rest. The POD site will invest a lot in marketing, which can benefit you if your work is included in campaigns, Instagram posts, e-blasts, etc. Co-promotion. 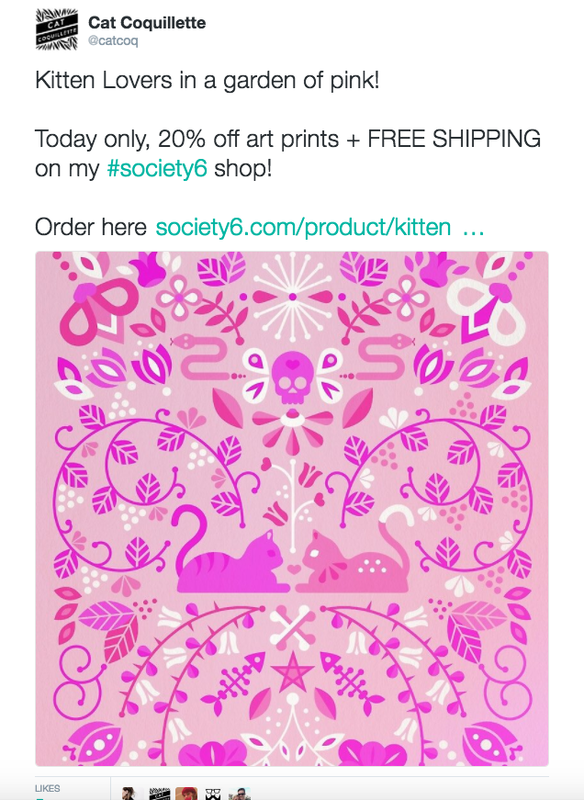 Society6 has nearly 300,000 Instagram followers alone. Any time they tag me in a post, I gain plenty of new followers. People will notice you. I have a handful of new clients every month that have found me through my POD shops and are reaching out for custom work or wanting to sell my work through their site as well. Sales will grow with time. Month 1 = $. Month 2 = $$. Month 3 = $$$. No web hosting fees or custom design requirements. Everything is ready to go and maintained by the POD site. PODs often promote their own sales events. This always translates into boosted sales for your shop. Once your store gets traction, you get a paycheck every month. This is the reason I get to spend so much time traveling and exploring the world. You work directly with an art licensor to license your designs directly to a company. An example of the latter is the work I sold through Urban Outfitters. Similar to POD, you get paid a royalty rate based on sales. Do you have unused artwork or existing designs you could repurpose to sell online? Are you putting all your eggs in one basket? Make sure you’re diversifying your channels of income. One bad month on Society6 isn’t ideal, but it’s not going to bankrupt me. I sell through a variety of POD sites, license my work through various brands and licensors, and work as a freelance designer. Are you expecting overnight success? I grew my brand slowly over several years before I started making a living wage. Nonexclusive. Because I sell my work through a variety of platforms, I want to make sure I can sell an identical piece of artwork through all of them. This helps me maximize profits for each piece. Fair royalty rates. Your royalty percentage can fluctuate wildly, depending on the quantities sold, type of product, distribution, etc. This is my go-to guide when I'm wondering about pricing. Use past history to project future sales. 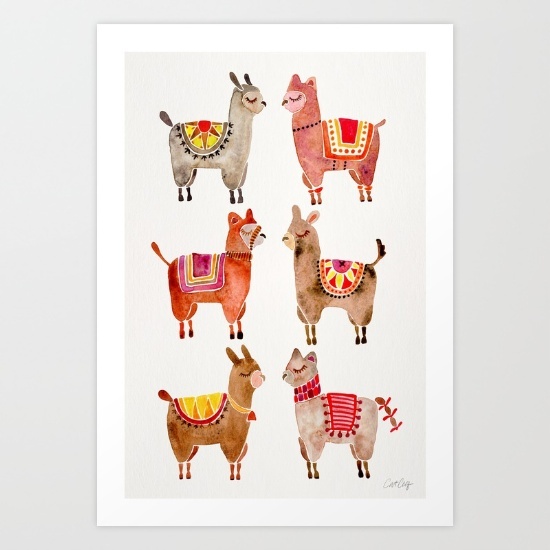 Be proactive: Create holiday artwork in advance so it’s ready to sell/promote when applicable. Track what’s selling well and create more work in the vein– People like to purchase multiple pieces of artwork that pairs well. Using past records, I can identify coming months with high sales (back to school, holiday) and promote heavily during those times to maximize income. Know the audience of your POD. Some PODs are catered to specific products, like Casetify, which exclusively sells tech accessories. 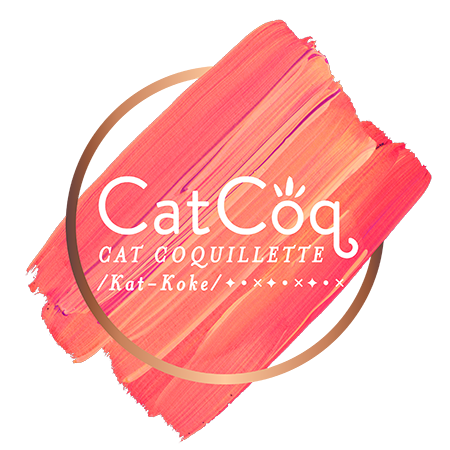 I upload designs to Casetify that translate well to their specific market and audience: blogger fashionistas who want a stylish phone case. Patterns and quotes sell best on phone cases. 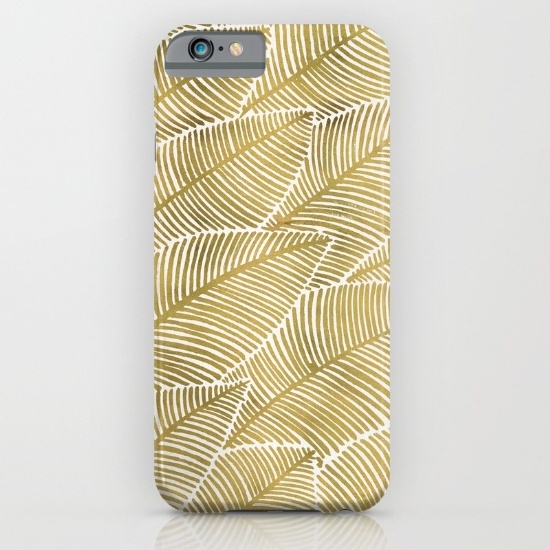 While all-out patterns do great as phone cases, they don’t sell as well (for me) as art prints. 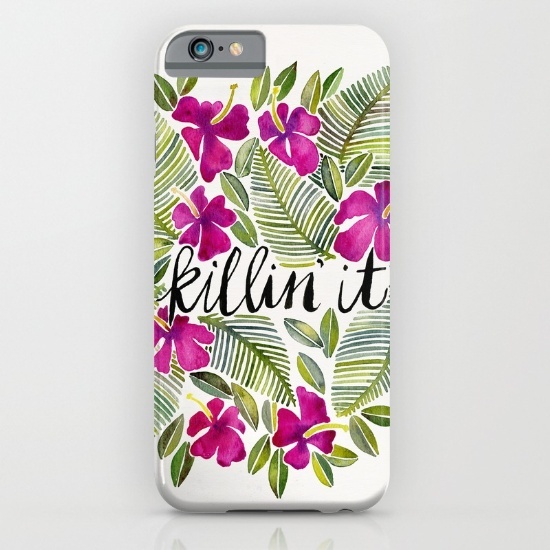 I make a higher profit margins on art prints, but move product faster on phone cases. It’s a balancing game. 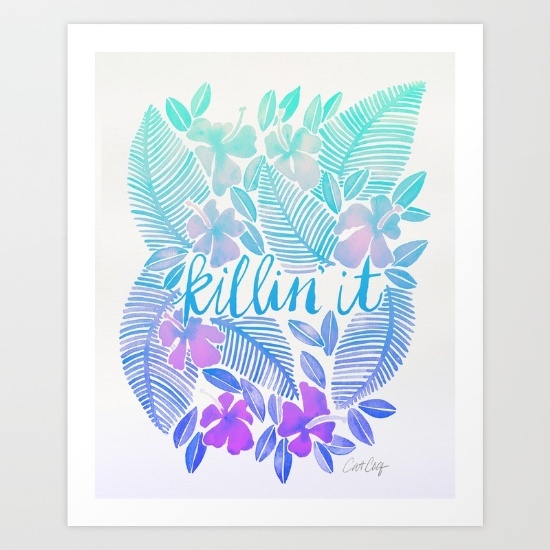 Common factors for a top-selling art print (for me): hand-painted watercolors or acrylic, quotes, animals, cheerful vibe, limited color palette, light backgrounds. 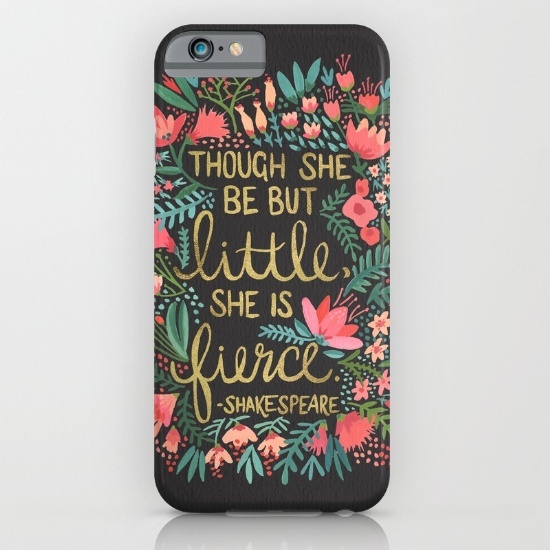 Common factors for a top-selling phone case (for me): patterns, quotes, color, details, hand-painted. Some common factors for a top-selling shirt (for me): simplicity, vector linework, colors that print well on dark fabric, quotes. After analyzing your artwork (in terms of sales or even “likes” on social media), what trends are you noticing in your most successful pieces? What trends in the marketplace can you implement into your work? In what ways can you prep for big sale opportunities? Think specific holidays or back-to-school. I made a Holiday Gift Guide out of my top-selling pieces. Scan at a very high resolution (1400 dpi for 11”x14” artwork). It’s overkill, but it offers me a ton of flexibility in terms of how I want to use the work. Large format artwork: You can either scan it in pieces and reconstruct in Photoshop, OR photograph. Erasing any pencil marks or mistakes. Removing the paper background. This gives me the option to upload transparent PNGs, which are necessary for apparel and phone cases, where the background needs to be absent. Adding in a new paper texture on a separate layer. It’s cleaner and that way, the background paper is uniform across all of my paintings. I use "multiply" in transparency settings to ensure that the paper texture is visible through the artwork, which helps it feel cohesive. Bumping up saturation and adjusting levels– sometimes this gets lost during scanning. Oftentimes, I make my paintings even more saturated with deeper tones than the original piece was. Next, I experiment with color and create several different color palette options. You’ve already done the hard work, so why not fully capitalize on your efforts with a variety of color options? I usually have between 3–10 color palette options for each piece of artwork. Enroll in my online video class to learn how to translate your artwork beautifully from paper to screen. There is so much more to the process than just scanning in your artwork and uploading it to sell online. What you do in-between those actions can make the difference between an average piece and a best-seller. Can your artwork be cropped or adjusted to fit a variety of templates? Do you have the tools needed to get your artwork from paper to computer? Do you know Photoshop or Illustrator basics to edit your artwork? Okay, so marketing isn't technically passive, but hear me out: it's still incredibly important to have a strong brand recognition, which comes from marketing yourself. I primarily use social media for this, so my tips are based in the realm of Instagram, Facebook, Twitter, and Pinterest. I oftentimes see direct correlations between posting a product or art print on social media and watching the sales of that piece rise that same day. Build hype with a sneak peek. This starts conversation early and gives you the opportunity to show works-in-progress. Encourage conversations: What should I paint next? What do you want to see on a phone case? Tote bag? Post photos of things that inspire you– it gives a glimpse of the behind-the-scenes and shows what may translate into a future piece of artwork. Include process shots or videos of live painting. Take advantage of sale opportunities provided by POD sites. Always share promo codes and links when a sale is happening. It’s a free and easy way to immediately boost sales and gain traction to your shop. Utilizing product mockups that the POD site provides. I usually add a colored background to give it a unique feel or "mock it up" in an environment. Resist getting tired of your older work, it can have a long lifespan of strong selling. Instagram = beautiful photos. You have the opportunity to reach new audiences with hashtags. Instagram connects bloggers, brands, potential clients, and fans alike. If someone posts a picture of my work, I thank them for their purchase. If someone comments on my posts, I also thank them. Facebook + Twitter = It's easy to include a direct link to the artwork in your shop. There's a shorter shelf-life, so take advantage of sales at the moment. Have conversations with your audience and reach out to other artists you admire. Pinterest = Translates well into sales. Pins stick around in collections for the long-haul. Huge opportunity to get a lot of traction through repinning. Dribbble = the designer’s version of Pinterest. Build credibility in the creative world. Lighting is key. I shoot most of my work in bright, natural light with my Canon, then upload it to my iPhone and polish it up with the VSCO Cam app. I also pay attention to the composition. You can never go wrong with the rule of thirds. Most of my posts are simple scenes with limited props. This ensures that my artwork is the focal point. If I do decide to take a photo with my phone, I use the camera app and crop the viewfinder to a square so I have a good idea of how to set up the composition. If I’m on the fence about a particular photo, I don’t post it. POD sites provide mockups– renderings of your artwork on their product. Utilize them! Get influencers to share your work. Influencers promoting your work is one of the fastest ways to grow followers. Hypemarket can help you facilitate connections. Sometimes I reach out to Instagram influencers and offer to send them some a few free prints. I pick my best pieces to mail and always include a hand-written note. When I notice that a major blogger has posted a photo that includes my work, I thank them and share it with my followers as well. Comment and like other artists’ work. See what other people are posting– get inspired. Some PODs specifically look for artists that are active in the community and have consistently great work. Overall: Have fun with social media. Your brand is a reflection of your own unique aesthetic and voice. Be authentic and be yourself. I keep my captions casual and conversational, leave genuine comments, and post what best reflects my brand. Is there something you could be doing better on social media to grow your brand and generate sales? Are you posting engaging content? Are you interacting with your followers and encouraging a dialogue? My vocation goes beyond design and illustration – I'm also passionate about using my experience and success to help other creatives reach their full potential. I believe in community over competition, and devote a large part of my brand to creating resources that allow fellow artists to thrive. I have a series of online video classes geared at creatives wanting to grow their brands and income. My classes cover a wide variety of topics, including finding your artistic niche, marketing through social media, selling artwork online, working with clients, and making a name for yourself in the online art world. Each of my classes are broken down into short video lessons so it's easy to follow along. In under an hour each, I pack in loads of info to help you grow your business and earn money. My friends and fans get a special deal on all my online classes– Click the Enroll Here button below each class description to score three months of Premium Membership for 99¢. This will grant you unlimited access to my Premium classes along with thousands of other Skillshare classes taught by creators from around the world. No commitments. Cancel anytime. UPDATE // Every January, Skillshare announces their curated "Best of" list, where their team hand-selects the top fifteen classes in two categories: Creative and Business + Tech. I'm so excited to announce that both of my new classes made the cut and I was featured in both lists!